The model contains purchases of animal fluffy toys made from a number of shopping centres in the UK. Although this is UK specific, the learning points should apply to every country. The map should show total sales broken down by the four animals for each region. 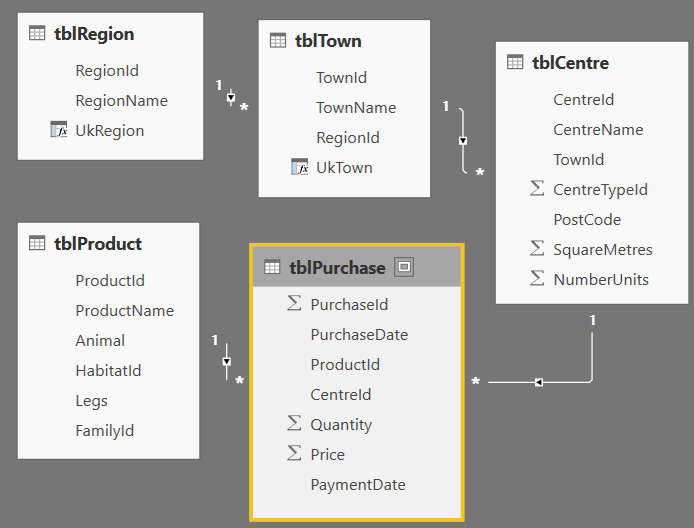 My hope is that in the process of learning how to produce this you'll also learn about some of the idiosyncrasies of maps in Power BI Desktop!